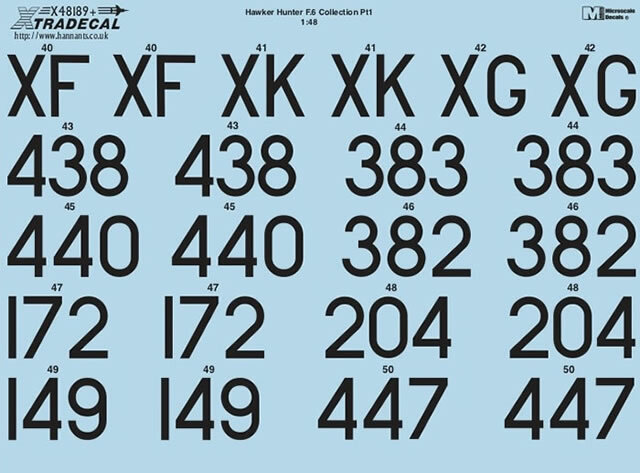 Waterslide decals (one full sheet and one partial sheet) for eight subjects plus instructions and notes. 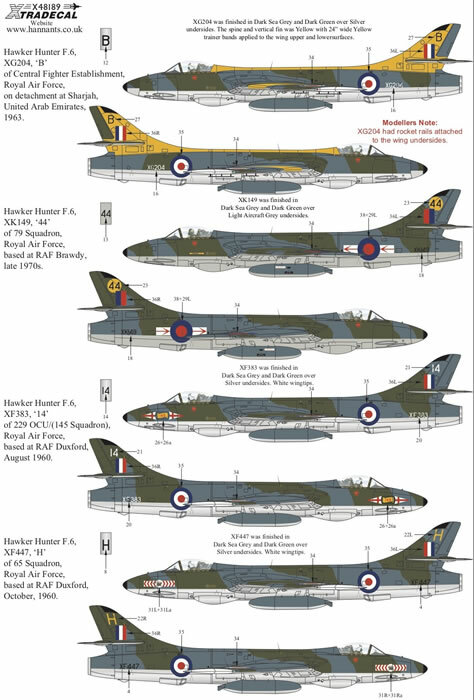 High quality decals; full colour instructions; includes national markings; interesting markings. 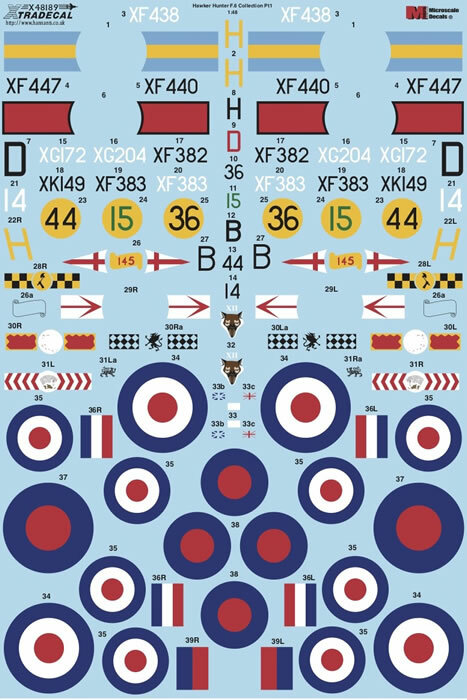 Xtradecal continues to stride alongside Airfix's brisk release schedule. 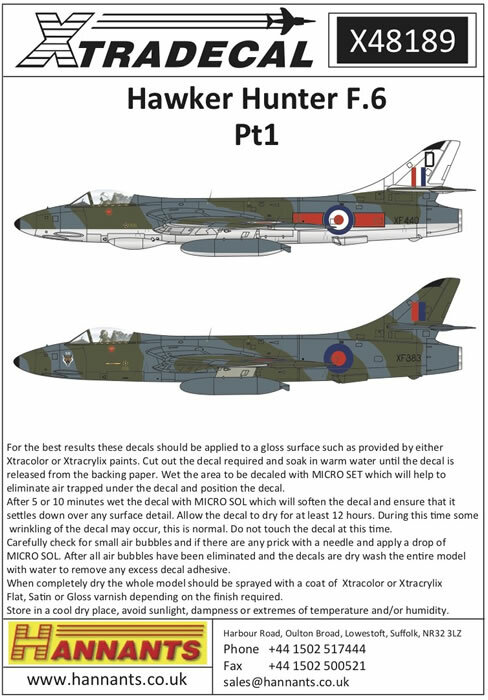 Amongst their newest batch of decals are two sets for the Hawker Hunter F.6 in 1/48 scale, well in time for the brand new Airfix kit due for release in October this year. I am examining Part One tonight. 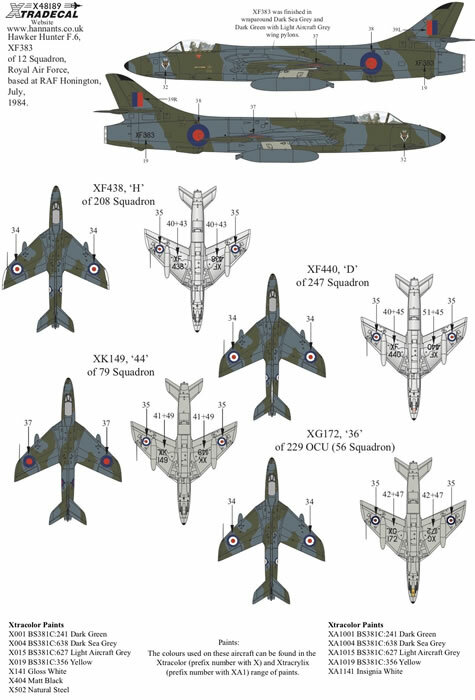 Eight Hawker Hunter F.6s are covered. 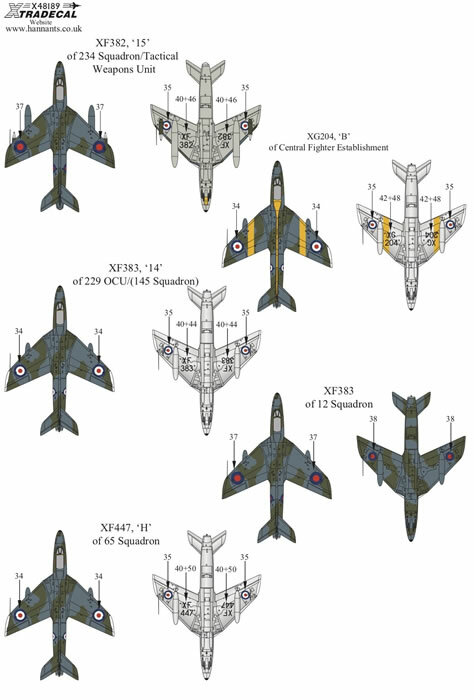 Seven aircraft are finished in the Green and Grey upper surface camouflage over silver lower surfaces; with one in wraparound Grey / Green. 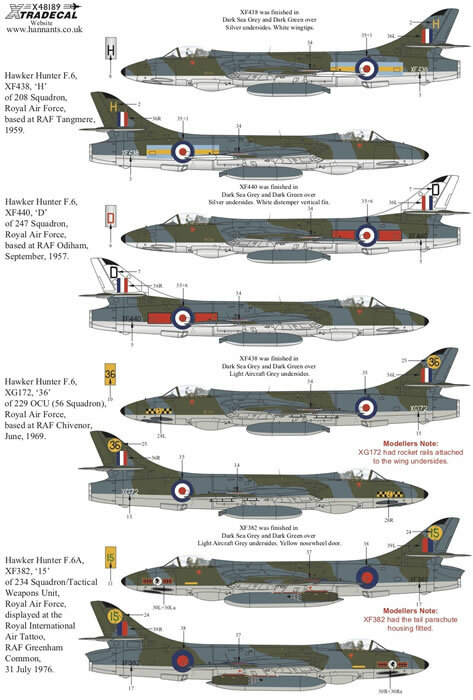 A nice variety of Squadron flashes and other markings are included.